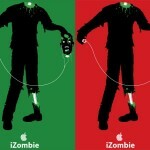 Zombies. They love to fight stuff. 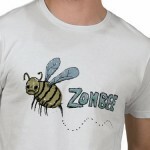 And Etsy designer Tina Seamonster loves to make shirts documenting that. 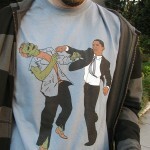 You may recall she was the one behind the awesome “Obama punching a zombie” shirt that was the first-ever Fashion Zombie entry. 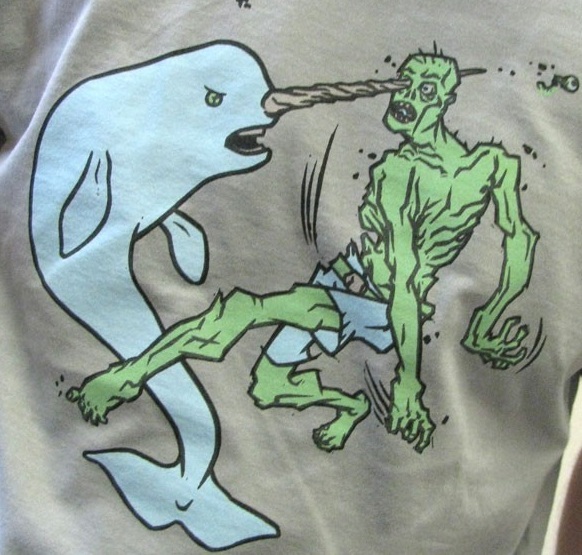 Now she’s combined two of the Internet’s favorite things — narwhals and zombies — into one awesome shirt-based deathmatch, illustrated by Chuck Knigge. 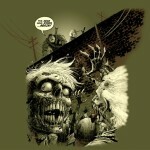 As the woman herself says, “I am pretty sure that the elusive narwhal can totally take a zombie. Given the right conditions, like in the water, of course.” Can’t argue with that. 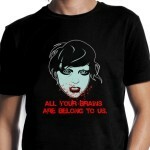 You can get one of these shirts, in green (pictured) or pink, for $20 from her shop. She makes them in small batches, so they may sell out and/or not be available in your size. Just keep checking back, she makes more from time to time. To see the design on a model, click through the “Read the rest of this entry” link below. Wow! 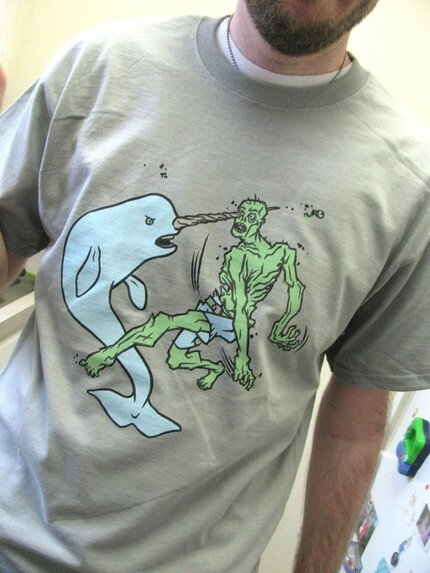 I love shirts with narwhals attacking zombies. Woo hoo yum yum narwhals are flippin’ sweet!